Mo Gawdat is a remarkable thinker and the Chief Business Officer at Google's [X], an elite team of engineers that comprise Google's futuristic "dream factory." Applying his superior skills of logic and problem solving to the issue of happiness, he proposes an algorithm based on an understanding of how the brain takes in and processes joy and sadness. Then he solves for happy. Thirteen years later, Mo's algorithm would be put to the ultimate test. After the sudden death of his son, Ali, Mo and his family turned to his equation—and it saved them from despair. In dealing with the horrible loss, Mo found his mission: he would pull off the type of "moonshot" goal that he and his colleagues were always aiming for—he would share his equation with the world and help as many people as possible become happier. 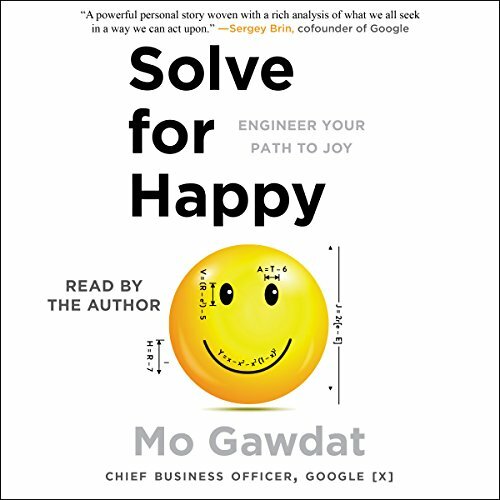 In Solve for Happy Mo questions some of the most fundamental aspects of our existence, shares the underlying reasons for suffering, and plots out a step-by-step process for achieving lifelong happiness and enduring contentment. He shows us how to view life through a clear lens, teaching us how to dispel the illusions that cloud our thinking; overcome the brain's blind spots; and embrace five ultimate truths. No matter what obstacles we face, what burdens we bear, what trials we've experienced, we can all be content with our present situation and optimistic about the future. Mind. Blown. 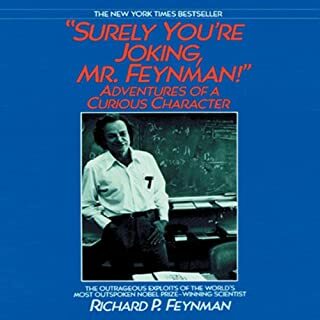 I am listening to this book for the second time, this time with my 13 year old. If she gets it, she will be 35 years ahead of me and avoid a lot of misery. If Mo started a religion, I'd join. 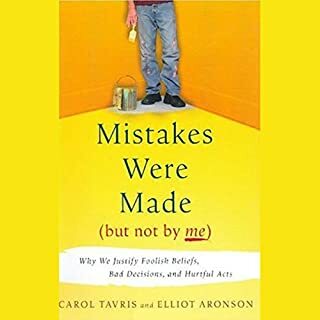 This is not your standard self-help book. Neither is this a guy writing to make money off your existential angst. He had all the money he needed before he wrote the book. He also experienced a significant loss, so I believe he can talk about pain and suffering. This is a book to listen to over and over again. Practical steps and sage advice on how to reset your brain to solve for happy. 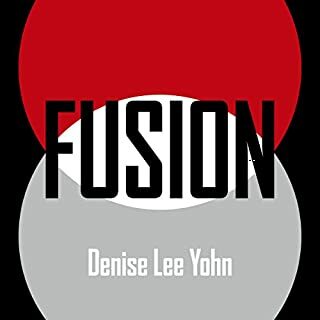 Great book for anyone, especially a scientist like me (veterinarian), who is not faithless but doesn't believe the rhetoric of the ages but also doesn't have any answers. In essence, it makes sense to me. Heading back in for a second listen. I have looked for happiness and peace my whole life not knowing that it is within me already. This book has given me a new perspective . I appreciate so much that Mo Gawdat opened his heart and had the courage to write this book and share his story. It is our story that he tells. I am really at a loss for words to describe how this book has effected me. 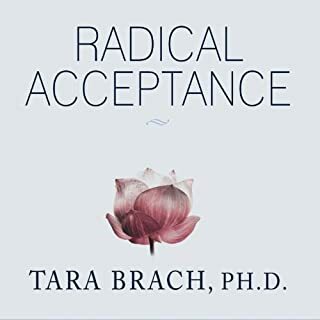 It enabled me to validate my feelings and beliefs and opened my eyes to profound truths that will forever change the way I look at life, the world , life's events ,my friends family and myself. Thank you Mo. Fabulous, incredibly well read by Mo himself. Great all around, but the chapter about time is my favorite. Truly a work of art. I usually don't like to read but I try to read one book a year just to keep this habit in my life. Also, it usually takes me 2 to 3 months till I finish reading that book. However, when I got solve for happy I finished it in 5 days only, because it was really interesting and full of knowledge. 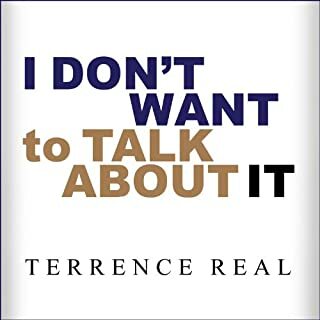 Moreover, I got this book as audible to send it to my father to listen to it and I know it will make him happy. I highly recommend to get it and you I'm sure it will help your understanding of happiness. Think different, let bygones bygones, be happy. Forgetting about the past loss, focusing on what's left in your tank, cherishing what makes your day, and always be happy. Finishes very strong. A lot of mention about his deceased son, the book was pretty much written for him. Brings up an outstanding defense of creationism that i had never heard explained so well before. 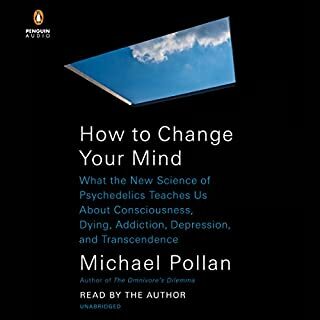 Kind of a lot of white noise, but some of his other explanations about how to be happy are from angles that you don't often hear and show that a lot of thought went into them. Anyway, pretty good book! yes, it is insightful and passionate. Which character – as performed by Mo Gawdat – was your favorite? What did you learn from Solve for Happy that you would use in your daily life? It is the many times told story of change your thoughts, change your life. Make peace with the ugly and be peaceful in your pain. Do not fight and just follow the path of life. This is a retold story spoken by Ekhart Tolle and many others. At times it feels like Power of Now retold and rewritten n another tone. The similarities are eerily the same. Sprinkle in a bit of engineer and I Do Not Have Enough Faith to be an Atheist, you'd arrive here. The book is compelling and honest.At time is is difficult to listen with dry eyes. Mo's pain is real and so is his resolve to carry the torch for Ali. I love Ali too now, and he has changed my life. This is a fantastic book. It will change the way you look at life. It was tender and honest. Just get it.